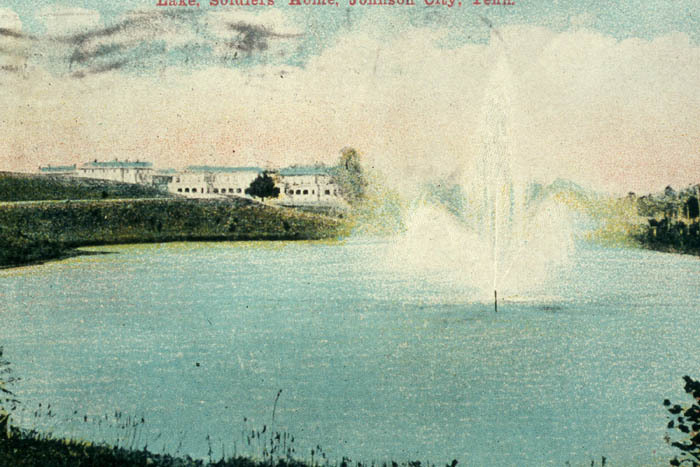 Note - Click on the thumbnail images above to link to larger Postcards. 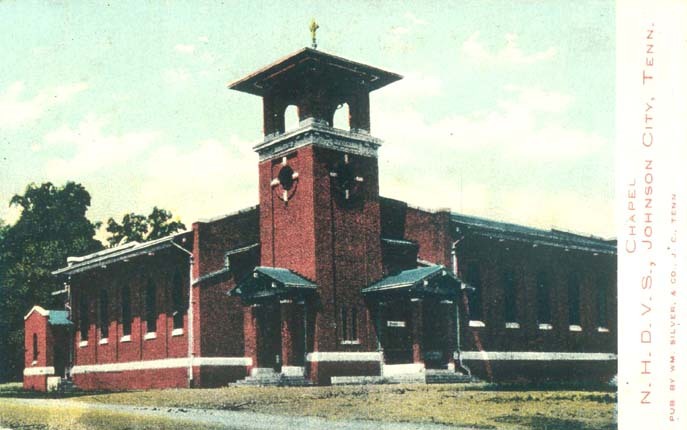 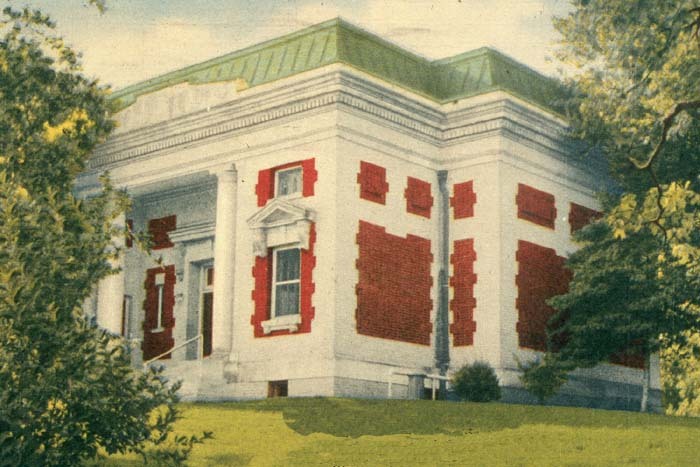 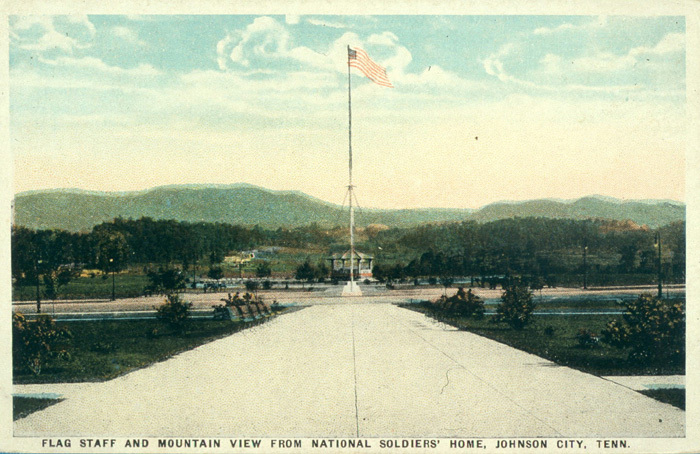 The Mountain Branch of the National Soldiers Home was the subject of a large number of postcards during the early decades of the Twentieth Century. 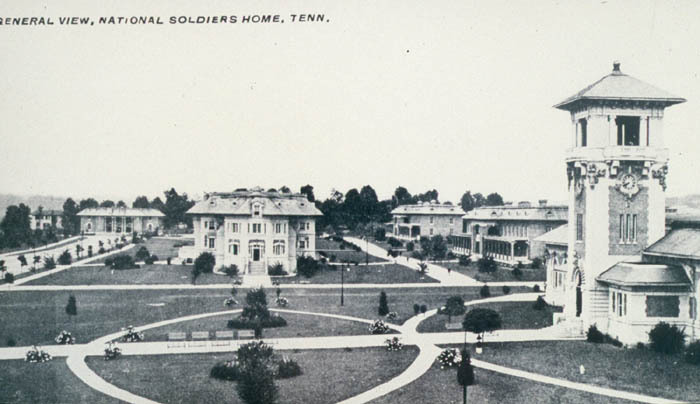 The beautiful landscaped grounds as well as the scale of the campus were unmatched at the time in the State of Tennessee. 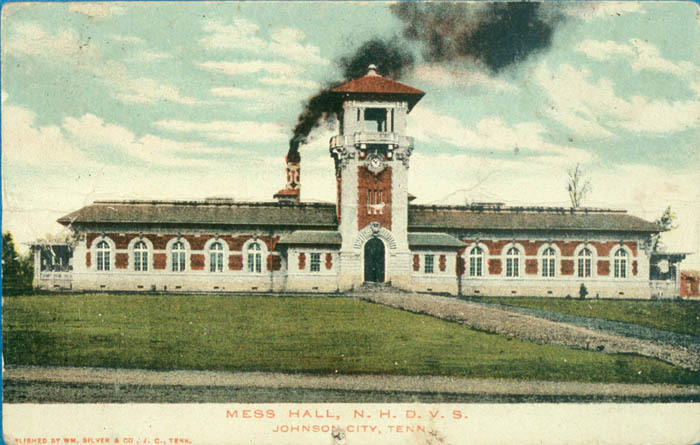 The National Soldiers Home buildings and furnishings were valued at over $3 million at a time when the assessed value of the entire Town of Johnson City was $750,000. 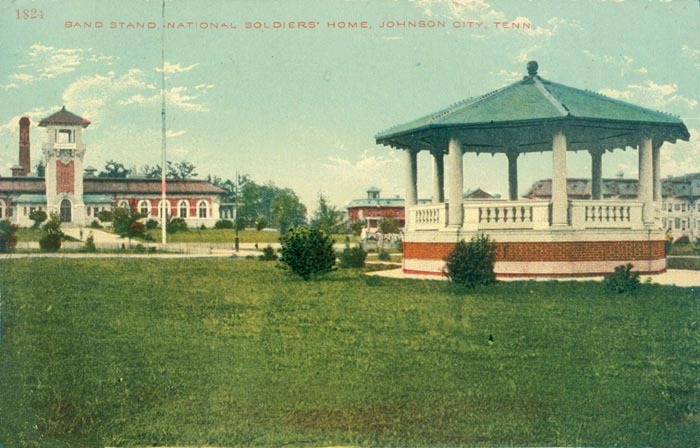 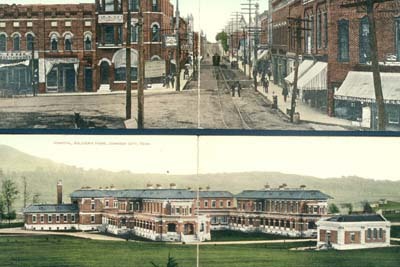 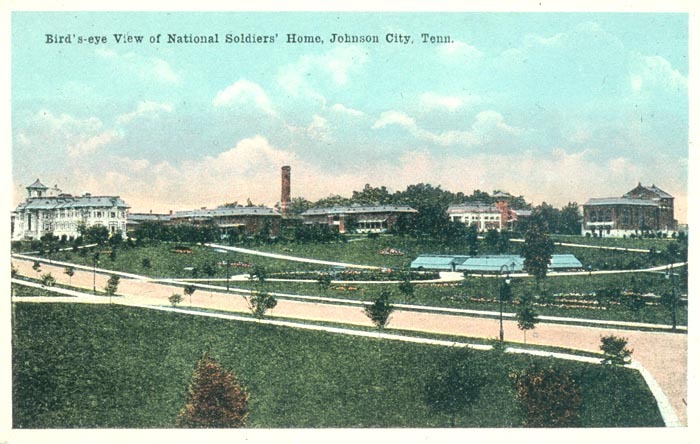 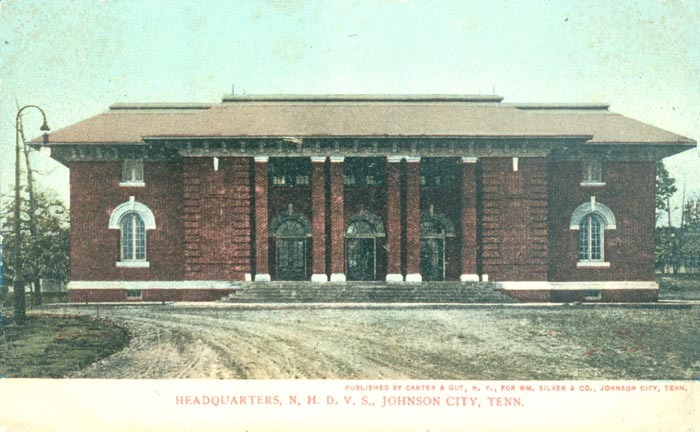 Note the final postcard image showing a view of downtown Johnson City contrasted with the Soldiers Home Hospital.